A lingering storm system will continue to sweep San Diego County with light and scattered showers, gusty winds and high surf Thursday before moving out of the region. 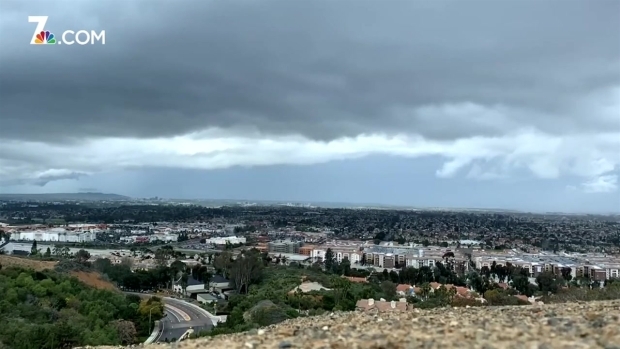 The storm system had already dumped more than a half-inch of rain on Ramona, nearly a half-inch of rain on Chula Vista and a quarter inch of rain to Carlsbad, the National Weather Service said. On Wednesday, thunderstorms over the county's coastal waters could have brought lightning strikes to San Diego's beaches from about 2 p.m. to 7 p.m. Rain on Thursday would be less significant with the brunt of the day's rain falling in the late afternoon. 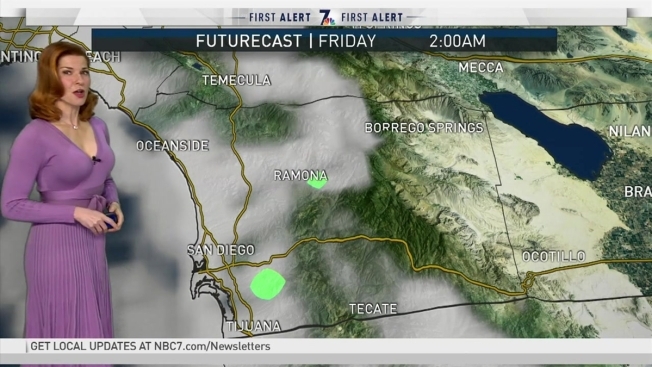 An NBC 7 First Alert Weather map showed showers increasing at about 4 p.m. At that time, showers spanned inland from Escondido to El Cajon with heavy showers moving into the coast of La Jolla and passing over Julian and Pine Valley. Showers would continue to move eastward before clearing out of the region by the late evening. A sprinkle of rain hit San Diego during the evening commute. 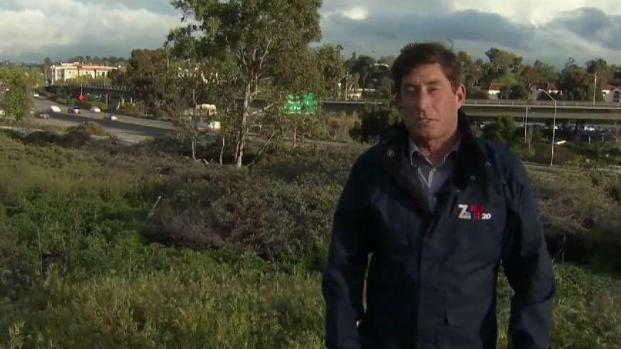 NBC 7's Dave Summers is in the College Area with more. Meanwhile, the storm system was increasing winds in the mountains. A National Weather Service wind advisory is in effect until 11 a.m. Thursday, bringing a chance of westerly winds reaching up to 30 miles per hour and gusts of up to 50 miles per hour. The mountains may also see some light snowfall from this storm system but no more than an inch is expected at elevations above 5,500 feet. The best chance for snow was Wednesday night into Thursday, though NWS had not reported any snowfall so far. The storm was also creating high surf at local beaches. NWS issued a high surf advisory from 1 p.m. Wednesday to 1 p.m. Friday. Waves may reach up to 5 to 8 feet tall, hitting its highest stride in Del Mar, NWS said. The high tides will peak Thursday, according to Parveen. “The beaches -– beautiful – don’t go in the water –- too much pollution. Wait 72 hours, we’ve had too much runoff,” NBC 7 Meteorologist Dagmar Midcap said. 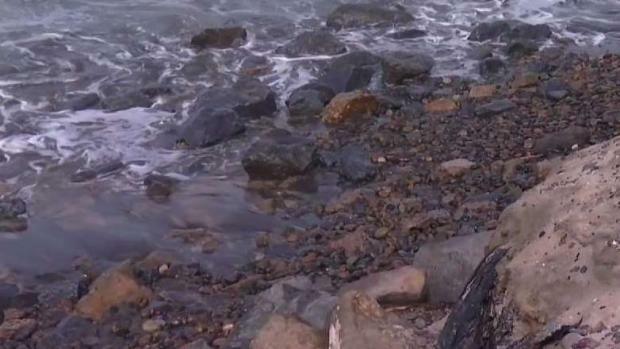 High surf along San Diego's coast can bring erosion to the county's beaches. NBC 7's Melissa Adan is at Torrey Pines with more. On Thursday, the high surf blocked access to a staircase entrance to Torrey Pines Reserve. The tall waves can bring beach erosion along the coast. Though, it can also bring excited surfers to the area. Sarah Kliegman broughout her five-and-a-half-month-old to Torrey Pines for the first time Thursday. “We just came out for a walk and to check out the beach and were surprised to see how big the surf is. 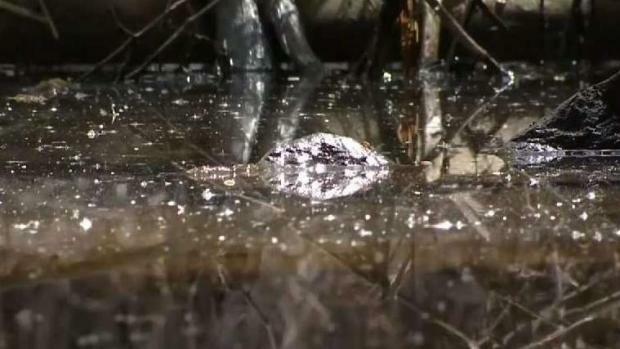 We thought we could walk down the beach and I guess not,” Kliegman told NBC 7.